HÀ NỘI — Vietnamese airlines have drawn up plans to expand their international presence to serve the increasing demands of both domestic and foreign passengers. Low-cost carrier Vietjet Air will open a new flight connecting Hà Nội and Singapore on April 27, its second air route to the country after the flight between HCM City and Singapore was launched in 2014. Meanwhile, flights from Đà Nẵng to the Republic of Korea (RoK)’s Seoul are set to begin from May 31. The carrier also launched services between Hà Nội-Siem Reap (Cambodia) and HCM City-Taichung (Taiwan) at the outset of this year. 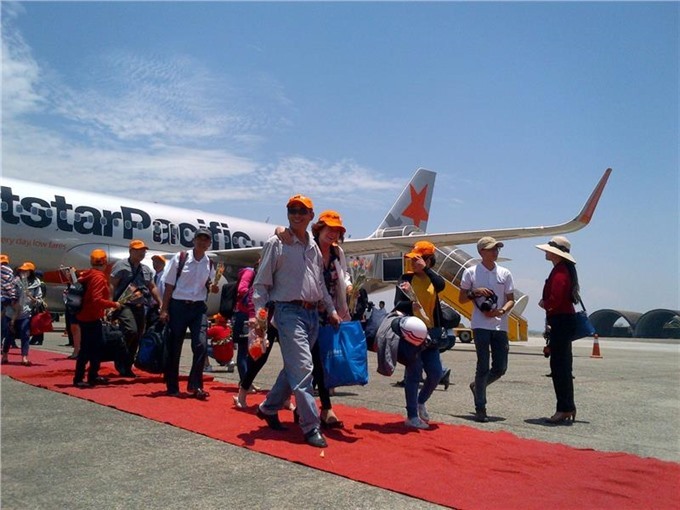 Another budget airline, Jetstar Pacific, will offer services on the Đồng Hới-Chiang Mai (Thailand) route in June as part of its plan to expand in Asia. On March 27, the airline began Đà Nẵng-Hong Kong (China) flights. The national flag carrier Vietnam Airlines commenced direct flights from Hà Nội to Sydney on March 28. This is the airline’s third air route to Australia, following flights connecting HCM City and Sydney and Melbourne. Opportunities will arise for trade between Việt Nam and foreign cities as other international airlines have fleshed out plans to fly to Việt Nam. Đà Nẵng City and the RoK’s Daegu City have been linked by T’way Air, a low-cost airline in the RoK, from April 2. Also, Emirates Airline will operate daily non-stop flight from Hà Nội to Dubai from July 2.